The oldest antiques fair in Japan sees over 250 sellers from across the country bring their treasures to the capital. 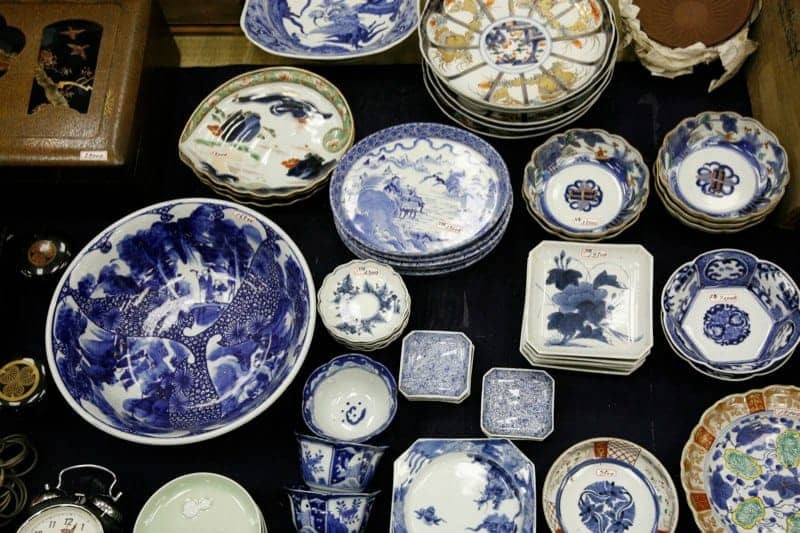 Heiwajima Antiques Fair is held only a handful of times a year and attracts thousands of collectors and connoisseurs, as well as the simply curious. Lines of visitors eagerly wait to search through the hundreds of stalls offering jewellery, ceramics, vintage kimonos, silverware, traditional crafts, tools, instruments, ephemera, small furniture and more. Prices range from moderate to high, although there are still many bargains to be found, this isn’t a typical flea market so you should expect that the expert traders will know the true value of their wares. Whether you are on the hunt for a rare item for your collection or just enjoy browsing through history, it’s worth making a visit to this famous event.